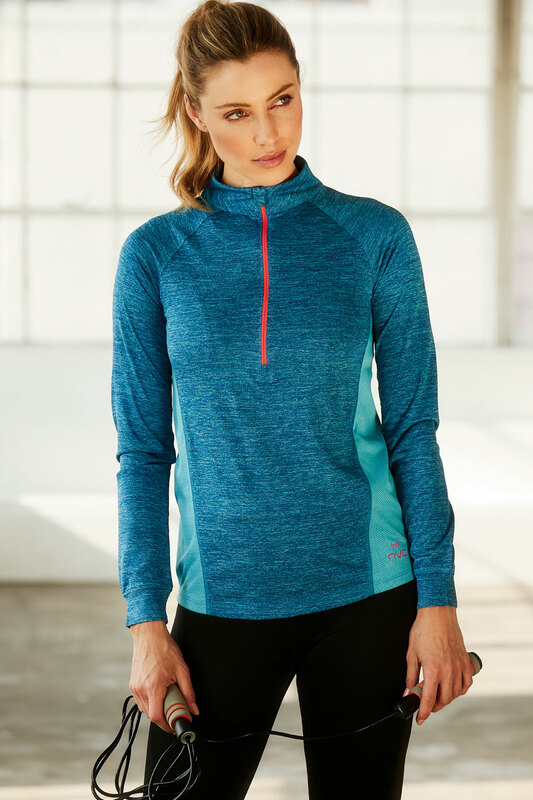 Layer up in this web exclusive zip neck sports top by NVC Activewear. Its two-tone design is subtly eye-catching, while the ultra-breathable side mesh panels keep you cool. 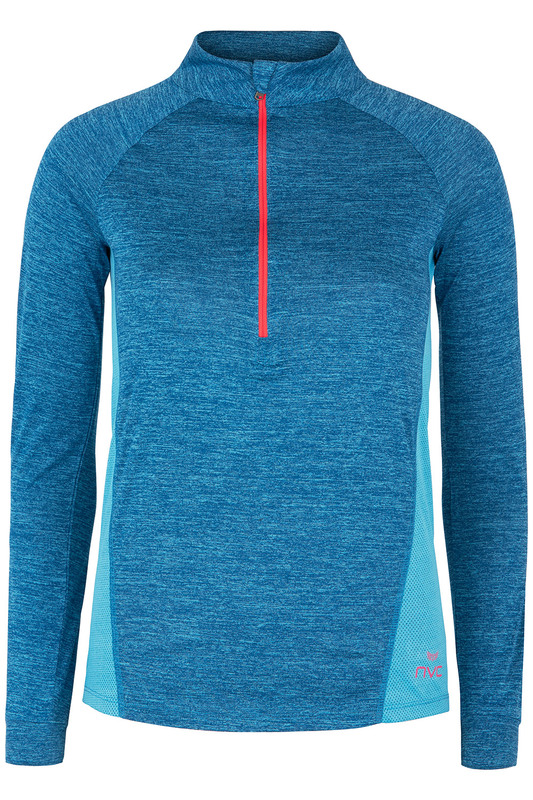 The high-tech, sweat-wicking fabric helps you stay dry, even when you are out on uphill walks. It also has an anti-pilling finish that makes it look new for longer. 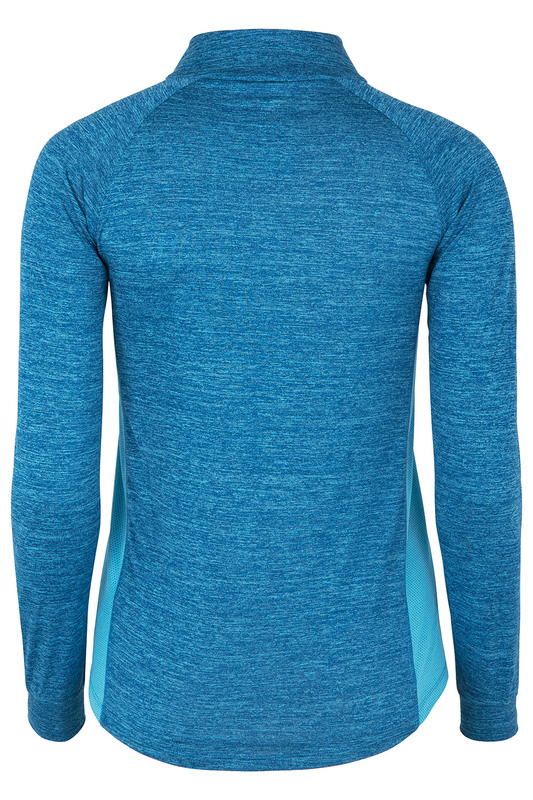 The funnel neck and long sleeves lend this top a cosy feel. This product is true to size. Sizes S(10), M(12), L(14) and XL(16).